Motorola One is the Android One edition of Motorola and the 5.9-inch device comes with a dual camera and Qualcomm Snapdragon 625SoC processor. 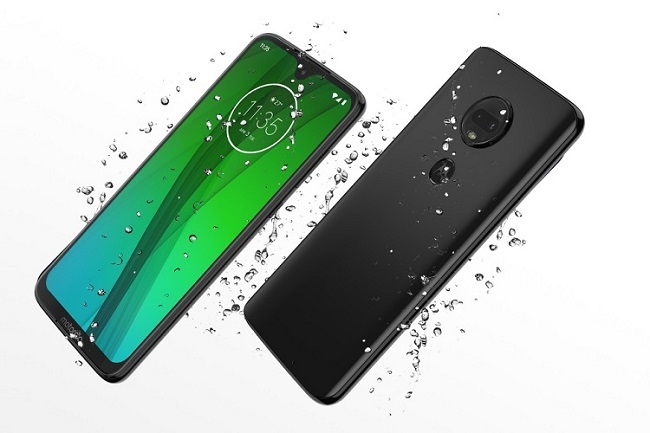 Motorola has launched two of its latest smartphones, the Moto G7 and the Motorola One in India on Monday. The Moto G7 is the successor model to the Moto G6 released last year. Interestingly, the othr variants of the phone, the Moto G7 Plus, G7 Power and G7 Play have not been included in the India launch. These phones are budget or mid-segment smartphones both in terms of their specifications and the pricing. The Moto G7 comes with a 6.2-inch Max Vision full HD+ IPS LCD display, with a screen resolution of 1080x2270pixels and an aspect ratio of 19:9. The phone’s overall dimensions read 157mmx75.3mmx8mm and weighs 172 grams. The protection to the screen is through Corning Gorilla Glass 3. An octa core Qualcomm Snapdragon 632SoC is the processor. The RAM support is 4GB and the internal storage is 64GB. There is a slot for a microSD card to lift the storage up to 512GB. The Android Pie is the operating system. For optics, a dual 12MP+5MP camera setup in the rear with LED flash support. The selfie camera in the front is 8MP. The battery is 3000mAh with 15W fast charging. There is a rear-mounted fingerprint sensor. The Moto G7 is released in two colours, Ceramic Black and Clear White. The phone is priced in India at Rs 16,999. The Moto G7 can be purchased from Flipkart online and a number of offline stores as well. The other phone revealed today by Motorola is the Motorola One. This is the Android One edition of Motorola and it has taken all of 7 months to bring the device to the Indian market. The phone’s display size is 5.9 inches and it’s a HD+ Max Vision display. While the RAM and storage are similar to the Moto G7, the processor is the Qualcomm Snapdragon 625SoC. There is a slight difference in the camera setup as well with a 12MP+2MP rear camera combo and an 8MP sensor in the front. Most other specs will be the same as the Moto G7 described above. The price of this Motorola One phone India will be Rs 13,999.